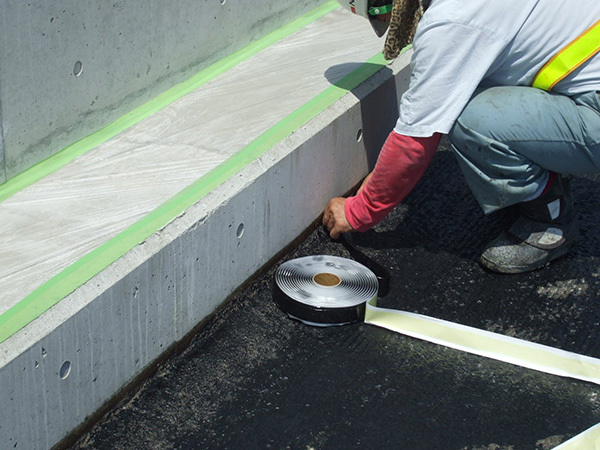 SEROSEAL SS TAPE is a pressure-sensitive formed joint sealant made from asphalt with added rubber and polymers which has been formed into a tape which has an adhesive ability at normal temperatures. It is used to protect against the entry of rainwater to joints and paving edge parts of asphalt paving. For the primer, SEROPRIMER is used. SEROSEAL SS TAPE has two types, consisting of Type I (High elasticity) and Type II (Low elasticity). 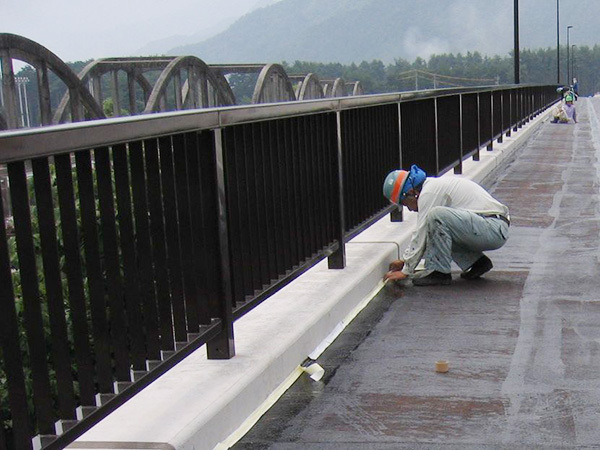 Both of these conform to the product quality of the heat-formed joint sealant (high elasticity and low elasticity) of the Pavement Design and Construction Guidelines. Has an adhesive ability at normal temperatures, and has outstanding adhesion with asphalt paving and cement concrete paving. Constantly maintains rubber elasticity, so that it closely adapts to expansion and contraction. Softening caused by extrusion in summertime or stripping or cracking due to brittleness in wintertime will not occur. Since implementation is possible at normal temperatures, it has outstanding workability. Type I is mainly used at the edges of guss asphalt paving, and is attached about 5mm lower than the implementation surface. Type II is attached at the edges of asphalt paving (gutters and L-shaped gutters), new and old construction joint parts, center joint parts, and bridge surface paving edge parts.